So the search is over.we have been looking for a suitable boat for about 9 months.first was a seamaster 30 with a single engine.a very nice example but not the boat for us.a safari 30 but the owers son got a bit gready on the price and it remains for sale.although a stunning example.then we looked at a boat that a lovley couple owned called carol ann.we liked this a lot and put in an offer.but due to family grief on our side the sale didnt go through.carol ann did sell a couple of weeks later and we hope the new owner is very happy.Then on a hand shake from a broker in wroxham we were going to (subject to a survey) buy an aquafibre 38. (seeker)we even saw the broker last saturday at the boat show to confirm we would see him thursday.monday the boat was under offer and it wasnt us.so much for a gentleman's agreement! We were seriously ticked off.so we took our money else where.inbetween this we looked at a boat eastern light.it was nice(loved the space at the back)but the price wasnt negotiable and it was straight out of the hire fleet so would need our own needs added.at the same time we did look at another boat.We have been back today to look at it and take it for a river trial.we wete very supprised how quiet it was.it has been in private ownership and looks well looked after with winter covers,new (to be fitted by the present owner)heating,led lights and a modern galley.we are able to make it our own and make some improvments over time.so what have we bought(subject to the survey)?a westward 38.thanks to everyone that has answered my stupid questions(I m sure I will have more)thanks for all the advice which I have taken on board.we hope to see you all on the rivers.my NBN sticker is waiting to go in the window. She looks seriously fit, nice one, enjoy! Mazel tov, look a nice craft, I hope you have many happy days afloat in her. Congratulations - welcome to the empty pockets and big smug grin club! Well done. Hope you have some wonderful times on her. As for the gentleman's agreement, I too still believe in them, unfortunately not everyone else does, and I guess looking at this from the brokers view point, he too has probably been let down in the past. you may even find they try to contact you in a few weeks. Its all fate, if it's meant to be then this boat is the one, the survey will go well and you'll be grinning like a Cheshire cat on the actual ownership day. Because the boat is having new heating fitted and the survey person being so busy we will have to wait a couple of weeks until we can take ownership.having fun though thinking of the things we want to do and things we will have to buy like plates etc.As for the broker at wroxham we kept him informed all of the time and it was him that said if there was any interest he would phone.If got right on my wick that he didnt keep to his word.anyway his loss and our gain.cant wait to get boating though. Congrats! We were wandering around the same place last weekend. Saw a boat we really liked had we been seriously looking. Have you got moorings lined up? Which boat were you looking at? 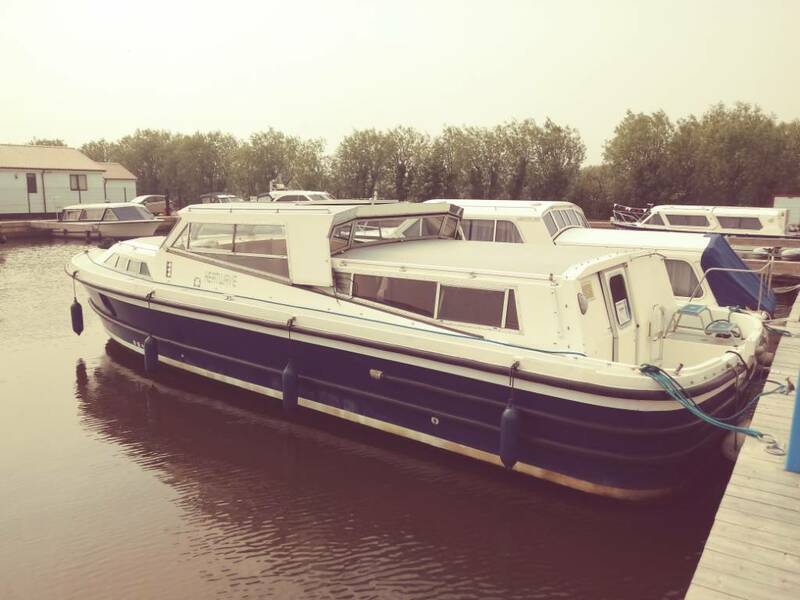 We also looked at northan light.we liked the space at the rear but it wasnt quite there for us.we got on the waiting list at sutton staithe last year knowing that at some point we would have a boat.we got the mooring 2 months ago. It was a Sheerline 24, a private boat now but checking it out online it had started life at Aston Boats then been at Ferry Marina for a while before being sold into private hands. Looked cosmetically in really good shape and sounds from the spec as if it has had quite a bit of money spent quite recently. If I had £20k sitting around doing nothing I might have made an offer!! The survey went well.hope to be aboard on thursday. Great stuff, look forwards to reading more.